So we want to spill a little secret – our challenge course at the Summit provides some big benefits. Because we overheard on Twitter that we have some Scouts who love journalism, we wanted to get some insider tips for you. The most important skill is taking careful notes. Go with the “more is more” approach. It’s better to take too many notes or get too many quotes than the opposite. 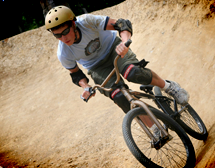 Think both mountain biking and BMX biking are all about the ups and downs with two wheels and some dirt? Think again! What’s a national jamboree without some challenge thrown in? To build the best skatepark, we’ve teamed up with one of the most recognized names in skatepark design: Spohn Ranch. The Summit is here to give you as much skateboarding as you want. From a “just a taste” to full out lessons, we’ve got you covered. Wondering how you’re going to pack all the gear you’re going to need for the 2013 National Jamboree? Let us ease your mind a bit. There is something new and exciting coming to this jamboree. The 2013 is allowing Venturers as participants for the very first time! The new model for the national jamboree makes patch trading an “official” activity for all participants. Here’s a photo gallery that imagines just one day you might experience at the national jamboree. Check it out! What’s The Difference Between Curriculum And Elective Events? Once signed up for a curriculum event, a Scout or Venturer will have a reserved spot in the class. As far as electives go, they will be able to visit any activity area they choose during their free time. From not burning your dinner to becoming a person of high character, Scouting prepares you for life. The Summit, I won’t lie to you, is tough. But it’s that really good kind of tough. There are, however, 5 easy steps to help you have an amazing time, and conquer any challenges. It takes a dedicated team of volunteers to assemble enough mountain bikes to put Scouts and Venturers on the trail — here’s their story. Mayhem Mountain: How Did It Get So Good? Both [BMX riding and skateboarding] are part of our world-class program experience which have higher energy and are more diverse, more intense, and more physically challenging than ever before. What Will The Jamboree Program Look Like At The Summit? 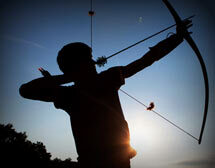 Within each adventure area, progressive skill levels will be offered so that Scouts at any level of proficiency may participate, from beginner to advanced. It’s a totally different concept from past jamborees. We’ve arranged the fascinating facts and figures in a handy, dandy infographic to get those mind wheels of yours spinning. How Does The Shakedown Compare To The Jamboree? One thing that struck me from reading the suggestions is there’s still some confusion over what Shakedown was about and how the Shakedown experience relates to what you can expect at the 2013 National Jamboree. To clarify: It really doesn’t relate. [Target sports] is another part of our world-class program experience which is more diverse, more intense, higher energy and more physically challenging than ever before. Our objective is to ensure we provide a healthy meal with the greatest acceptability possible while ensuring our Scouts/Scouters are safe from foodborne illness. Just imagine all the thousands of people, who love Scouting just as much as you do, gathered together in one place to go big and get wild. It’s official: You can see the Summit Bechtel Reserve on Google Maps and Google Earth. Check out these bird’s eye views of the home of the national jamboree. 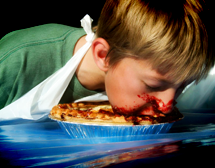 Scouts participating at the Shakedown only received a taste of what will be offered at the 2013 jamboree. Want to try SUP (stand-up paddleboarding)? What about a water obstacle course? Into kayaking? How about breathing underwater as a scuba diver? How Are Plans For The Opening Event At The Summit Going? You’d have to be living under a mushroom to not know about the Summit’s opening event, the 2013 National Jamboree. By embracing conservation practices and Leave No Trace guidelines, the Summit’s style of camping will preserve the local ecosystem and be an example for others. Are We Serious About BMI? Get ready to take to the trees in the Summit Center! Here’s a look at the canopy tour challenge courses you’ll experience at the 2013 national jamboree. How Does National Jamboree Stack Up Against These 5 Rites Of Passage? The national jamboree is a “rite of passage” that all Scouts and Venturers should experience as they progress to the apex of leadership and character. Are There Going To Be Additional Fees For Rafting At The Jamboree? What we have done is work with the local rafting companies to provide an exceptional value for those that will participate in the white water rafting experience during the Jamboree. Progress on jamboree activity facilities is exploding. Here are the latest details on how much, how many and how far for figuring your jamboree fun factor. Don’t believe the nay-sayers: Development at the Summit is racing along, and the 2013 national jamboree is right on schedule. Just like in past jamborees, and in addition to all the high-adventure activities that will be available to you, 2013 will also include classic jamboree activities that you have grown to love, including the ever popular, vastly competitive patch trading experience. Whitewater rafting is the most fun you can possibly have while sopping wet. But, have you wondered: What age do you have to be to go rafting? 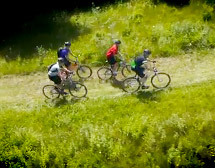 At the mountain biking Adventure Area in Adventure Valley you can try your new skills on a world-class series of biking trails. Too bad you won’t have time to ride them all in one jamboree experience – because there’s over thirty miles of them! The Summit has big plans for big rocks. And by this, we are talking about the activity area for climbing, which will allow you to boulder, top-rope climb and/or rappel when you visit for the 2013 National Scout Jamboree. What Is Your Path To The Summit? Is your jamboree contingent traveling before Jambo? Read more to see the South Texas Council’s path to the Summit! Are you excited for the Summit? Because, you know, it’s not that far away! Read more for some high adventure facts. 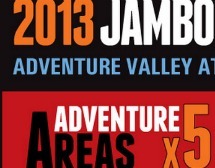 Here are 5 things that ARE NOT high adventure that you have an opportunity to do at the 2013 jamboree. Do You Know Where The 2013 Jamboree Is? The Summit is where? 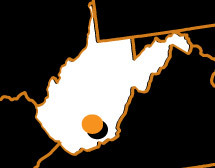 West Virginia? Is that a state? Imagine your perfect whitewater experience. Got it? Now that 2012 is here, we only have about 18 months until we meet in West Virginia for the first-ever national scout jamboree at the Summit Bechtel Reserve. In 2013, your new jamboree home and the BSA’s 4th High Adventure Base, the Summit Bechtel Family National Scout Reserve, will open for business. Each month, this blog features one of the program elements that will be offered at the 2013 Jamboree. This month‘s feature is pioneering. Is “SCOUTStrong” Stronger Than Regular-Plain-Old “Strong”? The SCOUTStrong Presidential Active Lifestyle Award Challenge is a program designed to get Scouts and Scouters up and moving. High adventure, your way and made simple. That is what you’ll get at the 2013 National Scout Jamboree at the Summit Bechtel Reserve. Each month, the Summit blog will feature one of the program elements that will be offered at the 2013 Jamboree. This month, check out the “Jamboree Trek” to Garden Ground Mountain. At the 2013 National Scout Jamboree at the Summit Bechtel Reserve, you can expect to go big with new and improved high-adventure activities. In case you haven’t heard, the 2013 National Scout Jamboree at the Summit Bechtel Reserve is going to use a new model for activities in terms of scheduling. The 2013 National Scout Jamboree will offer a different experience for everyone, but there’s one thing that everyone will have in common. Food. The jamboree at the Summit will deliver a world-class program experience – more diverse, more intense, higher energy and more physically challenging than ever before. One Ice-Cold Water, Please. Hold the Plastic. If you’re an adrenaline junkie, you’ll have to check out the zip lines at the Summit.